After long time of waiting, Mo Versi, VP of Product Management at HTC America announced that T-Mobile's HTC One M7 will get the official Android 5.0.1 Lollipop update on March,10th. 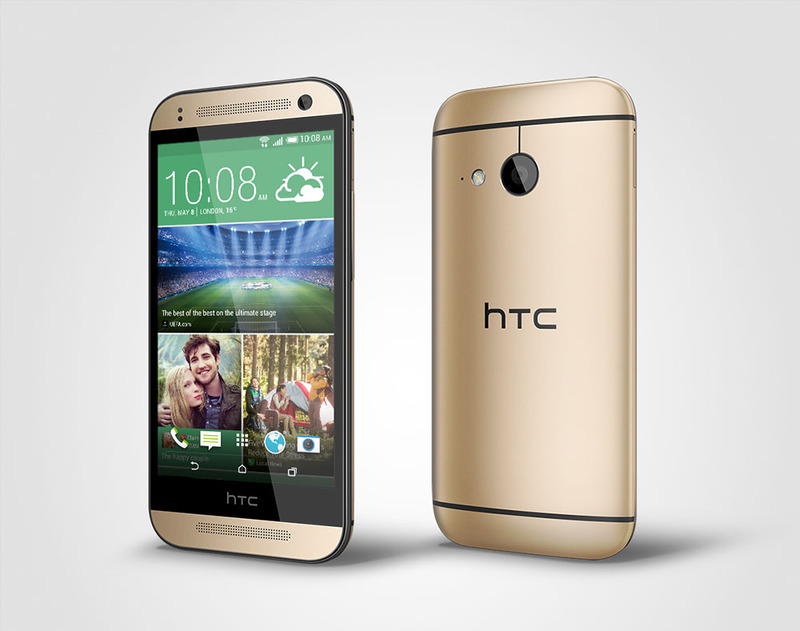 The company has already updated its One M8 devices on most regions. Mo Versi shared on Twitter that the Lollipop build has got the technical approval. The update will certainly package all the major Lollipop goodies such as refreshed recent apps menu, notifications and system wide tweaks. 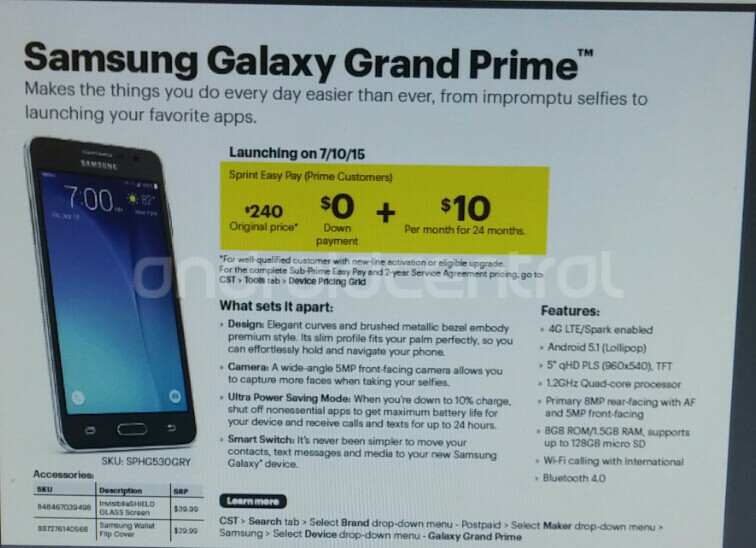 We have reported before that Samsung is launching a new Grand Prime Value Edition device with Android 5.1 Lollipop Pre-installed. Sprint is launching this VE device this friday July,10th. 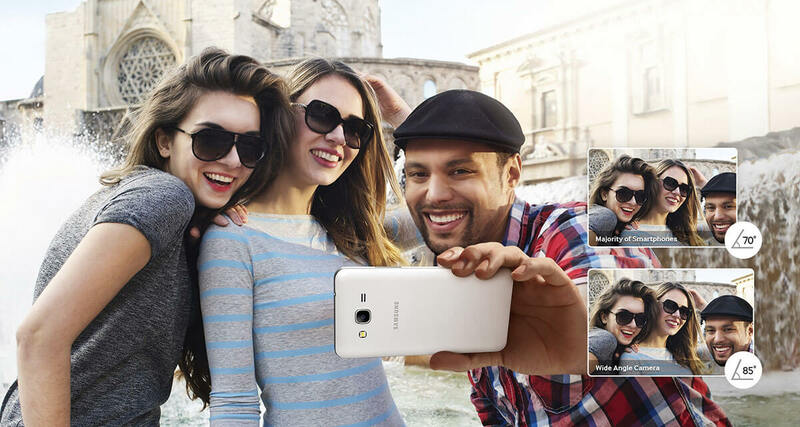 The Samsung Galaxy Grand Prime features a 5-inch screen with a 540 x 960 qHD resolution. That works out to a pixel density of 220ppi. The 64-bit Snapdragon 410 SoC under the hood contains a quad-core 1.2GHz CPU and the Adreno 306 GPU. 1GB of RAM is inside along with 8GB of internal storage. Those requiring additional memory can access the 128GB capacity microSD slot. The back and front camera combo weighs in at 8MP/5MP, and the lights are kept on by a 2600mAh battery, Android 5.1.1 is pre-installed. The phone comes with the Ultra Power Saving Mode. With 10% of the handset's battery life remaining, the feature closes down unnecessary apps and gives you an extra 24 hours to make/take phone calls and send/receive text messages. 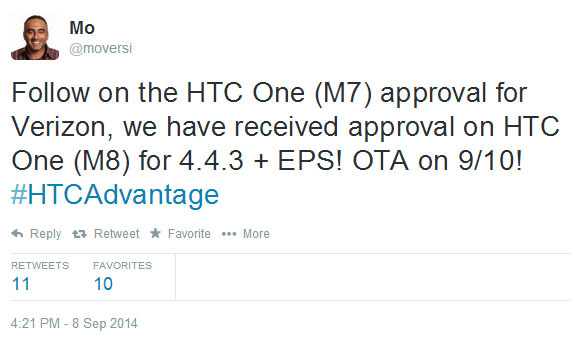 HTC's Vice President of Product Management Mo Versi has announced in a tweet that Android 4.4.3 is coming to Verizon's version of the HTC One M8 on Wednesday, September 10th. In addition to the higher release number, the over-the-air update will also include the long-awaited Extreme Power Saving mode. 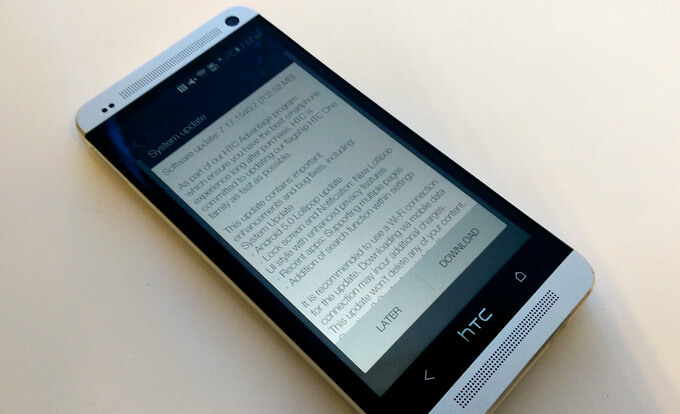 This update will land a week after the feature arrived, ironically, on Verizon's version of the HTC One M7. With this OTA, a feature that debuted with the global launch of the M8 will have managed to hit every other version of the handset and last year's flagship before making it to Verizon's. Even for the Big Red, that's something to be proud of.